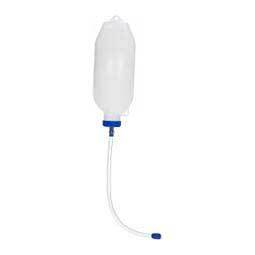 Calf Fluid Feeder with Plastic Probe Designed for easy administration of electrolytes to baby calves. Probe is attached directly to collapsible bottle. To use, insert probe with reservoir hanging down; after probe is placed into esophagus, reservoir is raised to allow fluid to flow through probe.